I was invited to participate in ASQ’s Influential Voices blogging community. ASQ, American Society of Quality, is a global community of experts and the leading authority on quality in all fields, organizations, and industries. As a professional association, ASQ advances the professional development, credentials, knowledge and information services, membership community, and advocacy on behalf of its more than 85,000 members worldwide. As champion of the quality movement, ASQ members are driven by a sense of responsibility to enrich their lives, to improve their workplaces and communities, and to make the world a better place by applying quality tools, techniques, and systems. Last year, ASQ invited quality professionals from around the world to engage with ASQ in an online conversation—a conversation about quality, about the future of the field, about what makes them and the quality community tick. They called this program ASQ's Influential Voices. Each month, ASQ’s CEO, Paul Borawski will select a topic that the Influential Voices will respond to with their own thoughts. Discussion topics include different aspects of quality, special events, interviews and quality’s impact and role across industries. 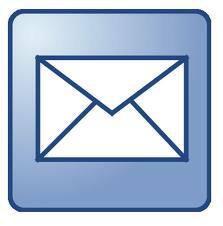 You to take a look at Paul Borawksi’s blog and the Influential Voices blogroll. I think this fits well with my new career in quality and the mission of this site to share lessons and chronicle my journey in Lean Thinking. It is my belief that you will enjoy this new feature and welcome your feedback as I begin this new endeavor. Sounds like a great idea Tim. Is it based around IBM's Idea Jam do you think? I don't know Adi. I never hear of IBM's Idea Jam. 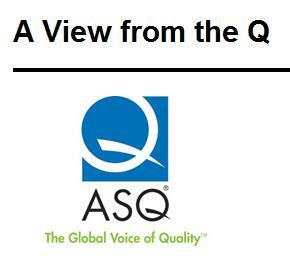 ASQ is just creating a place and forum where the voice of quality can be heard from those in the field. I think it is a great idea and good opportunity to share.